Grey water sources include sinks, showers, baths, washing machines or dish washers. Grey water is usable for irrigation, toilet flushing and other non-potable uses. 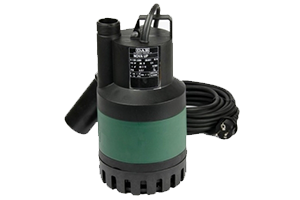 Grey water is generally collected in a tank and then pumped using a submersible pump into the garden. It is important not to store the water for long as the water is not clean. So we use intelligent submersible pumps that automatically switch on as soon as you open your tap. We can provide all sorts of clever solutions to save water. 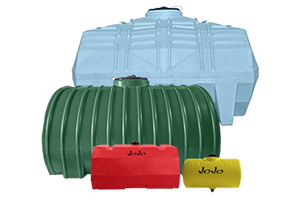 Although we will install any tank you choose, there are specifically designed underground tanks that work best. Normal above ground water tanks and drums will slowly get compressed by the weight of the earth when buried below ground. Because of soaps, detergents, cleaning chemicals and other contamination in the grey water, a normal rain tank will slowly break down. Therefore the best tank to use for grey water is a chemical resistant underground tank for a long life. We install all tanks and all pump to suit your application and budget. 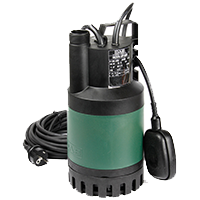 The submersible pump is fitted with an integrated water level switch and pressure switch. Just open the tap and the water is instantly available just like any normal household tap. An important consideration for grey water pumps is to consider that you want to do with the water. If you would like to spray your water through an irrigation system, you need to buy the correct size pump to supply sufficient pressure. The small cheap effective pumps being sold are not always powerful enough to spray the water. Just give us your requirements and we will propose a solution for you. 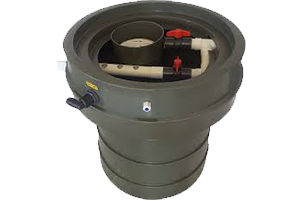 The ecogator Grey water system is fit for purpose grey water tank assembled with strainer, pump, valves, easy to remove cover, inlet and outlet ports as well as valves. Simple to use and easy to install. The ecogator system is a collection point for recycled water. Ecogator collects household waste from your shower, bath and washing machine are all extended to a central point, where it passes through a strainer into the water tank from where it is pumped to your garden. Ecogator is easy to clean and maintain and is made of durable Polyethylene which is non-corrosive and rust free.The size of the ecogator Grey Water System is 120 litres. Watering your plants keeps your plants healthy. By maintaining your garden you maintain your property value. Saves you money by reusing water. Need a quote or advice, Please complete our form and we will call you. Grey water includes water from sinks, showers, baths and washing machines. Grey water can also include water from kitchens but due to the food waste causing bacteria, kitchen water is generally not collected. Typically we install the grey water tanks just outside the bathroom buried underground in the garden. The waste piping is redirected from the bathroom outside gully into the grey water tank. The grey water tank is buried to allow gravity to drain the water into the grey water tank. In some cases we also install grey water tanks above the ground depending on the slope and floor level of the bathroom. Grey water does not include water from toilets which is referred to as black water. What can I use Grey Water for? Grey water is mostly widely used to irrigate your garden. Many people connect a hose pipe directly to the grey water pump and use a hand sprinkler which is simply moved around the garden once a day. Alternatively grey water can also be sprayed using your existing sprinkler system, however we always install additional filtration to prevent blockages of pipes and sprinklers by contaminants in the grey water. With some simple adjustments and the addition of filtration your grey water system will be reliable and hassle free. Grey water can also be used for flushing toilets but must be filtered to prevent blockages in the flushing mechanism. We prefer installing rain water tanks for use in toilets as it is odour free and clean water which will not cause soap buildup on the flushing mechanism ultimately causing the flushing mechanism to get stuck. What are the long term effects of using Grey Water in the garden? The short term benefits of water for the garden will far out weight the negative affects of the small quantities of chemicals found in cleaning liquids, soaps and personal hygiene products. The long term effect to soil is a buildup of nitrates which causes oxygen deficiency in the soil. For this reason it is preferable to use environmentally friendly and bio degradable soaps and cleaning products which will ensure long term healthy soil in your garden. If you are collecting washing machine water try using Bio Classic, Skip intelligent or OMO liquid detergent washing powders as these have environmentally friendly properties. Any washing powder which advertises phosphate free or biodegradable will be great for use with your grey water system. How much Grey Water will I recover? Of course this depends from household to household. 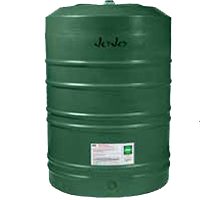 A shower or bath per day easily amounts between 50L -100L of grey water per person. A family of 4 could easily collect 200L to 400L of grey water per day. By pumping this amount of water onto your garden on a daily basis will ensure a well watered and thriving garden. A great looking garden adds value to your property and beauty to your lifestyle. 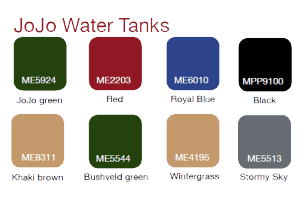 Are there different sizes of grey water systems? 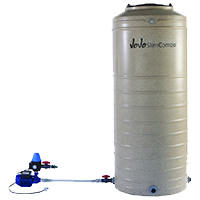 Because grey water tanks fill up in small batches and not continuously the size of the tank and pump is not an issue. The tank needs to be big enough to house a pump and allow easy access for cleaning. However for more demanding grey water systems such as flats and commercial properties, we install larger tanks and pumps to suit the application. 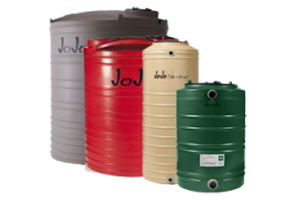 As grey water tanks are installed underground, we install tanks manufactured for underground installation. These tanks are used as they keep the surrounding soil from crushing the tank over time. Due to the ongoing water restrictions, there are several ready made grey water products on the market including the ecogator which is a cost effective choice of grey water system. 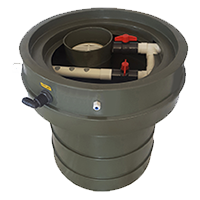 The ecogator grey water tank comes as a complete kit including pump, basic filtration, valves, overflow and large cover to allow complete access to the internal tank for cleaning and inspection. What about hygiene and odours? A grey water system must be designed not to store the grey water for long periods of time. We install a pump which has an integrated switch in the pump that automatically activates the pump when there is sufficient water in the tank to cover the suction of the pump. The same switch stops the pump when there is not more water and protects the pump from running dry. In other installations we install a timer allowing the grey water to be stored up to 24 hours for watering at a more suitable time of day. Both these methods ensure the standing time of the grey water is kept to a minimum and reduces bacteria and odour buildup. Can grey water be filtered? Grey water systems need basic filtration to prevent buildup in the tank as well as keeping the pipes and pumps in good working order. If we install an ecogator or similar grey water system, the filter is already included. It is a very rough filter. On top of this, we install further filtration to allow grey water to be used for other purposes such as in irrigation systems. Further filtration is done using standard irrigation filtration systems. 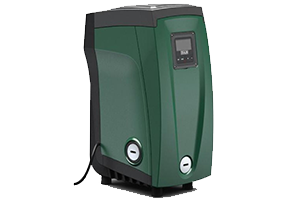 Particle filters or ozone filtration can also be installed but is not usually necessary for the purposes that grey water is used for. 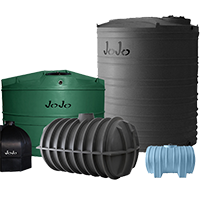 A rain water system is preferred for clean water applications and long term rain water collection is more cost effective than replacing filters and maintenance caused by soap buildup. Grey water will help your garden thrive. 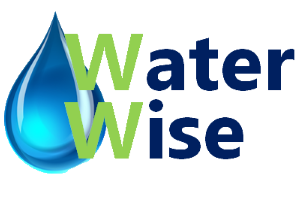 By saving water you will save on your water account. Avoid the heavy penalties incurred during water restrictions. Can be connected to your existing irrigation. Need a quote? Please complete our form and we will call you.